What do Christians believe about The Trinity? The Bible teaches that there is one God. He created the heavens and the earth. However as we read through the Bible we begin to see that the one God has three parts: God the Father, God the Son (Jesus) and God the Holy Spirit. 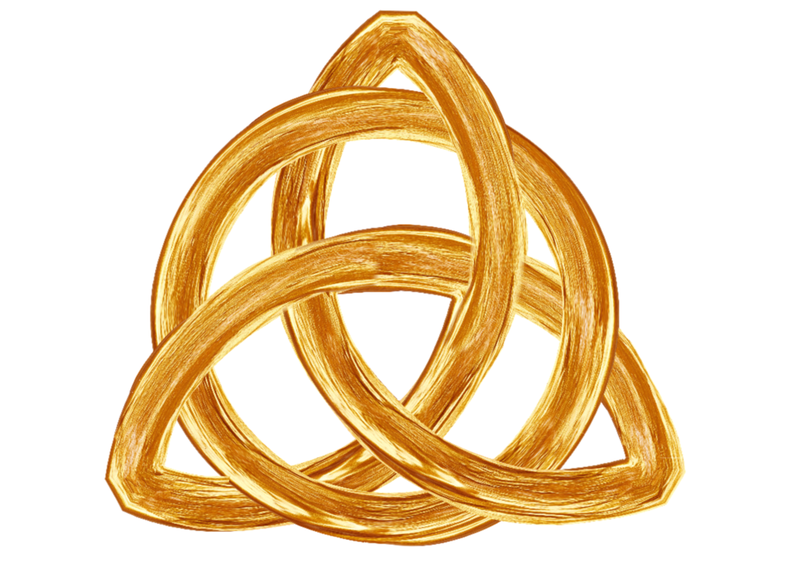 Today Christians describe God as ‘Three in One’. Christians believe there is one God (hold up one finger), three parts (hold up three fingers). 3. In the circle there are lines between the three Persons but in God the three are so perfectly joined that they are one. There is one God and He is three in one. The ‘Three in One’ of God is difficult for us to understand because it is a wonderful mystery: When Jesus lived on the earth He said ‘I am in the Father and the Father is in me?’ (John 14:10). What do Christians believe about 'Who's who in the Trinity'? Christians believe there is one God and he is three in one. The parts of God are called Persons: the Person of the Father, the Person of the Holy Spirit and the Person of the Son whom we also call Jesus. Each of the Persons is fully God. The Father is God, the Holy Spirit is God and Jesus is God. The three are so perfectly joined that they are one. The Bible teaches that the three Persons of God work together, but each does different things. God the Father sits on the throne in Heaven. He is the Creator of Heaven and earth. God the Son, Jesus, came to live with people over 2,000 years ago. He died on the cross so that everybody everywhere can be forgiven. Then three days later God raised him back to life. Now Jesus lives in Heaven. He is sitting on the right hand side of Father God. The Bible teaches that because Jesus lived, died and rose again everybody everywhere can say 'Yes' to God's love and forgiveness and become close friends with God. When Jesus went up (to Heaven) the Holy Spirit came down (to earth). The Holy Spirit came to be with people in a new way. The Bible teaches that the Holy Spirit is ‘the Helper’. Another word for helper is ‘comforter’, ‘someone who comes alongside’. The Bible also says that the Holy Spirit is a teacher and guide. Christians believe that with the powerful help of the Holy Spirit they can learn and grow to live God's way. God is Three in One. He is one God, three parts: God the Father, God the Son and God the Holy Spirit. The three Persons of God are so close they are not three Gods or three separate parts but one God. Over 2,000 years ago God the Son, Jesus, came to live with people. While Jesus lived on earth he healed the sick, fed the hungry and comforted the poor. Because the Father, the Son and the Holy Spirit are One, when Jesus lived on earth people began to understand more and more what God is like. The Bible teaches that living God's way is about doing two main things: loving God and loving others. Christians believe that when Jesus lived on earth he showed people how to live God's way. Jesus never did anything wrong; he always lived in a way that pleased Father God; he was always loving, peaceful, patient and kind. The Bible teaches that with God’s love and forgiveness and the powerful help of the Holy Spirit everybody, everywhere can learn and grow to be more like Jesus. People can learn and grow to be more peaceful, patient and kind; they can learn and grow to live God's way, the way he created them to live. The Bible teaches that when God made the world he made it perfect. In God's perfect world he made a garden. In the garden he put two people, Adam and Eve. Every day God visited his people. But one day Adam and Eve did something wrong - they disobeyed God. The Bible calls the wrong things people do ‘sin’. The sin crept into the lives of Adam and Eve and began to change them. With sin in their lives they could no longer be close friends with God; the sin separated them from him. Christians believe sin can still keep people apart from God today. In fact the Bible says that everybody, everywhere has done wrong things and before people turn to God their sin spoils things, and separates them from him. Christians believe sin makes God sad because it spoils things he loves and separates people from a life with him. But the Bible teaches there is good news. Although thousands and thousands of years ago disobedience spoilt God's creation, God had a plan to put things right. His plan was to send his son Jesus the Saviour to live with people. The Bible teaches that on the cross Jesus took the punishment for all the wrong things people have ever done. Three days later God raised him back to life. Because Jesus lived, died and rose again, everybody everywhere can now be forgiven for the wrong things they have done. Everybody everywhere can say ‘Yes’ to God’s love and forgiveness, and the sin that spoils and separates can be wiped away. Everybody everywhere can now become close friends with God. This text is repeated in "What does the word 'sin' mean?" Why do Christians call Jesus their Saviour? 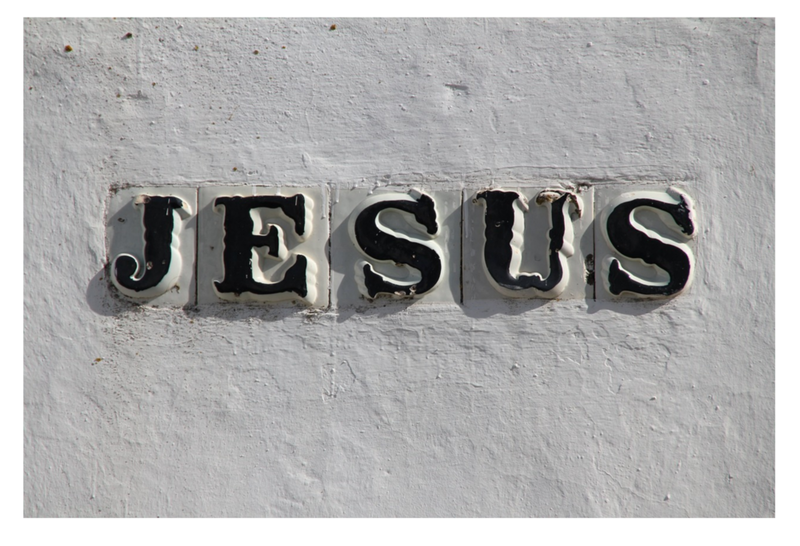 The name ‘Jesus’ means ‘Saviour’. A saviour is someone who saves people or rescues them. The Bible teaches that Jesus is The Saviour because he saves people. Christians believe Jesus has saved them from a life without God; they believe they have been saved from the wrong things they have done. You could spend some time talking about why Christians believe people need to be saved. The Bible teaches that when God made the world he made it perfect. In God’s perfect world he created a garden. In the garden he put two people, Adam and Eve. Every day God visited His people. But one day Adam and Eve did something wrong – they disobeyed God. The Bible calls the wrong things people do ‘sin’. The sin crept into the lives of Adam and Eve and began to change them. With sin in their lives they could no longer be close friends with God in the way they had once been. The sin spoilt Adam and Eve's friendship with God and separated them from him. Christians believe sin can still keep people apart from God today. In fact the Bible says that everybody, everywhere has done wrong things and before people turn to God their sin spoils things and separates them from him. Christians believe sin makes God sad because it spoils things he loves and separates people from a life with him. The Bible teaches that on the cross Jesus took the punishment for all the wrong things people have ever done. Three days later God raised him back to life. Because Jesus lived, died and rose again, everybody everywhere can now be forgiven for the wrong things they have done. Everybody everywhere can say ‘Yes’ to God’s love and forgiveness and the sin that spoils and separates can be wiped away. Everybody everywhere can now become close friends with God. Why do Christians believe that Jesus doesn’t change? The Bible teaches that Jesus never changes. Christians believe that Jesus is the same today as he was when he lived on earth; he is the same today as he was in the ‘olden days’, he is the same today as he was yesterday. But what is it about Jesus that Christians believe stays the same? We know that he didn’t stay as a baby and we know that he didn’t stay on earth. Christians believe that the best way to find out what doesn’t change about Jesus is to take a closer look at his name. The name ‘Jesus’ means ‘Saviour’, someone who saves. Christians believe Jesus will always be the Saviour. He saved yesterday, he saves today and those he saves will be saved forever. Jesus is also called ‘Jesus Christ‘. The word ‘Christ’ means the Anointed One. The Bible teaches that Jesus is the Anointed One because the Holy Spirit is with him and upon him. Christians believe that Jesus was the Anointed One yesterday, he is the Anointed One today and he will always be the Anointed One. Why do Christians believe Jesus needed to be both fully God and fully Man? In the Bible it says that Jesus slept, ate breakfast, washed, wore clothes, chatted, cried, ate lunch, spent time with friends, drank and could read and write. Jesus could do all these things just like other people... but the Bible also says that Jesus is Lord. Christians believe Jesus was fully God and fully man. They believe he wasn’t part man and part God, he was man through and through and God through and through. Christians believe that to show what God is like Jesus needed to be God, but to teach people how to live he needed to be like people; he needed to be human. The Bible also teaches that Jesus needed to be born perfect to make a way for everybody, everywhere to become close friends with God. Christians believe that to be born, Jesus needed to be a human and to be perfect he needed to be God's Son - Jesus needed to be fully Man and fully God. However Christians also believe it is difficult to understand that Jesus is fully God and fully human too because only Jesus has ever been God and a man at the same time. Why do Christians believe Jesus needed the power of the Holy Spirit? If Jesus was fully God why did he need the help and power of the Holy Spirit? Christians believe that when Jesus lived on earth he chose to live as a man. The Bible teaches that although he was still fully God, Jesus chose not to live with the power and the rights he had as God the Son. Because Jesus chose to live as a man, the Bible tells us that he was tempted as people are tempted; he knew what it felt like to be tired and hungry. However as a human, without God’s help Jesus couldn’t have done the things he came to do. So where did Jesus get the power to do the things he came to do? Christians believe that God gave Jesus the Holy Spirit. They believe that Jesus lived as a man but with the powerful help of the Holy Spirit he was able to do what God sent him to do; he was able to heal the sick, bring the dead back to life, provide food for the hungry and set people free from terrible situations. Why do Christians talk about the grace of the Lord Jesus Christ? Grace is being given a fabulous gift you don’t deserve. When the Bible teaches about the grace of Jesus Christ it is talking about the good news that, because Jesus lived, died and rose again, everybody, everywhere can say ‘Yes’ to God’s fabulous gift of love and forgiveness. Nobody deserves this wonderful gift – but because of the grace of Jesus it is free for everybody, everywhere. Do Christians believe there is evidence that Jesus lived, died and rose again? There are many reasons why Christians trust that Jesus really is God the Son and that he really lived, died and rose again. • The Bible is full of stories that help them believe. • There are other history books (not just the Bible) that talk about what Jesus did when he lived on the earth. • Other Christians talk about their friendship with God. • Christians feel the Holy Spirit helps them to believe. • Christians believe they see God at work in their own lives and the lives of other people.